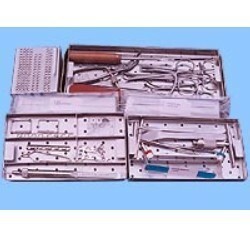 We are leading manufacturers & exporters of Basic Implant Instrument Set. 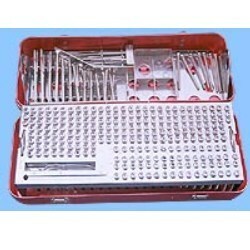 We are one of the leading manufacturers and suppliers of superior quality Mini Instrument Implant Set. Our world class service perfectly meets the requirements of various hospitals. 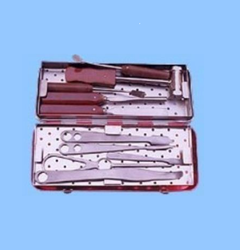 Our product is manufactured under the guidance of our team of highly qualified professional and technical experts who conduct various tests to make the products as per international qualitative standards. Drill bit for quick coupling 1.1mm diam., 1.5 mm diam. Looking for “Basic Instrument Set”?